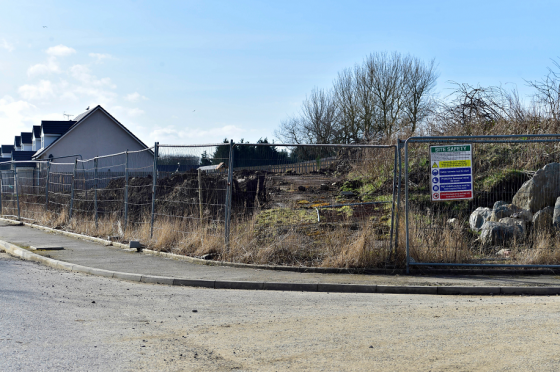 The developer behind the Ladysbridge Village project, at a site which was previously occupied by Boyndie’s Ladysbridge Hospital, has lodged plans to build a further 15 homes. If granted planning permission, the scheme would take the total number of houses built or under construction to 90. Last month, members of the Banff and Buchan area committee were asked to reject the initiative by officers who argued that building new homes would threaten green space in the area. Councillors chose to defer their decision to give them the opportunity to see the site for themselves and are due to make a final decision tomorrow. However, council planners have recommended that the plans be rejected. In his report to the group, infrastructure chief Stephen Archer called for councillors to consider the “unacceptable reduction” in the open space which had been initially earmarked on the site. The original deal to build the project, struck by developers Ladysbridge Village Ltd, set aside 40% of the land on which the hospital previously stood for community space. If this latest application to expand the scheme is given the go-ahead, that space would be reduced to 32%. A spokesman for the developers responded that the way the new houses are laid out will actually add a new “informal” green space to the overall scheme.